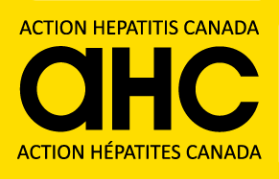 As you may remember there have been quite a few news items over the past few months about the extrahepatic effects of hepatitis C, which is more and coming to be recognized as a multi-organ disease. Not only is the hepatitis C virus (HCV) the cause of liver diseases in up to 170 million people worldwide, it also has many extrahepatic disease manifestations. These include rheumatic, hematologic, and cardiovascular diseases. This issue of the Weekly.Bull takes a closer look! This week sees the launch of the HepCBC Prison Outreach program, with a toll-free support line and a dedicated team. Be sure to check out our new prisons pamphlet! In the news was a strange report on the safety of the new DAAs that most experts with whom I have spoken are calling poorly researched. Why such scare tactics? And why now? Hmmmmm…..! Also in the news is a new study clearly demonstrating the relationship of HCV and a variety of cancers, many of which we did not know were connected to hepatitis C. And the last word goes to Lucinda Porter in her role as chief de-mythologizer!! Lots of troubling news this last week. Senior correctional officials at Correctional Service of Canada have made the decision not to provide clean drug-injection needles to prisoners to stem the spread of infectious disease because. A victim of the contaminated blood scandal in the UK has been told she is now free of Hepatitis C – 29 years after she was given a transfusion. However she now has cirrhosis of the liver, gastritis, oesophageal disease and calcified gall stones – tell me this isn’t criminal!. Counterfeit Harvoni found in a drug store in Japan. On December 15, 2016, a joint hearing was held in Toronto before the judges of Alberta, British Columbia, Ontario and Quebec to discuss the status of the Compensation Fund, now that the final deadline to submit claims has passed. The judges have ordered that any surplus remaining in the main Compensation Fund will be transferred to the PELD fund for unpaid claims. Although this is a positive result, it will not be enough to pay the full amounts for outstanding claims. We project it will only be about 20% of what is needed in the PELD. Also in the news is the story of Nikky Davies, who contracted the virus through tainted blood she was administered in a Victoria, BC hospital in 1978. Because she is too sick to work and is on disability assistance, Davies applied to B.C.’s Pharmacare program to cover the cost. But she has been refused treatment by the BC government because basically they can’t afford it! Let’s hope Nikky and others get some JUSTICE quick! I guess the subject no one really wants to talk about is liver cancer (HCC), but there were several news items this past week on liver cancer treatments and so I’m going to talk about them. Hepatocellular carcinoma (HCC) is associated with poor prognosis, with around 12% survival at 5 years. Most patients are diagnosed at advanced stages, with tumour portal thrombosis, metastasis, or both. Early liver cancer, however, can be treated with TACE therapies which have much better success than the last line defences like sorafenib and regorafenib.